Mae Axton wrote hundreds of songs during her life, but she will always be best known for one—“Heartbreak Hotel.” That song, which she co-wrote with Tommy Durden, was the first major hit for Elvis Presley, in 1956. 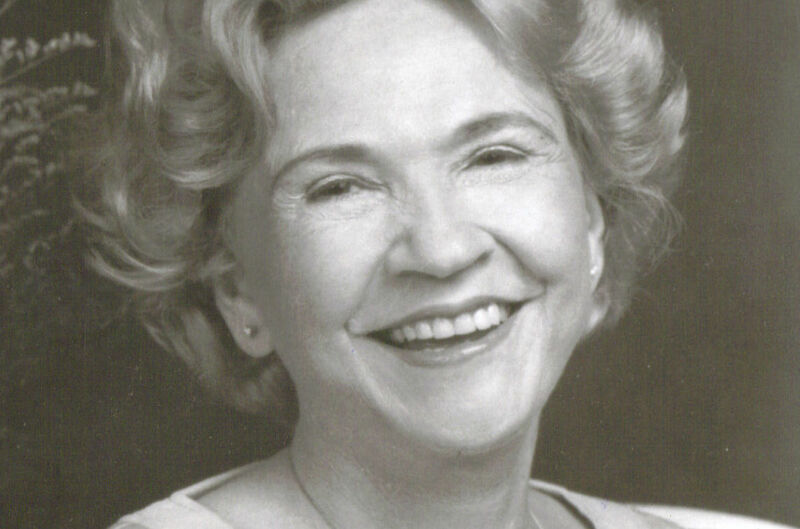 The multitalented, high-energy Mae also worked as a music promoter, disc jockey, and high-school teacher. 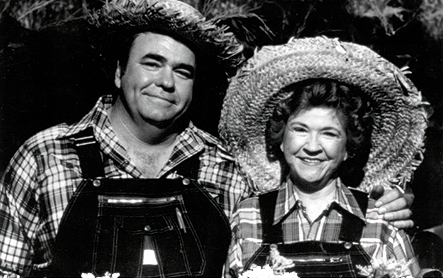 Mae is further known for being the mother of songwriter, singer, and actor Hoyt Axton. Mae was born as Mae Boren on September 14, 1914, in Bardwell, Texas. Her family moved to Oklahoma when she was a child. She obtained a degree in journalism from the University of Oklahoma. (Her brother David later became an Oklahoma governor, U.S. senator, and president of the University of Oklahoma.) After her graduation, Mae worked as a reporter for Life magazine and as a teacher of journalism and English. In the mid-1930s, Mae married John Axton, who was an officer in the U.S. Navy. The couple had two sons—Hoyt and John (who eventually became an attorney). They moved to Jacksonville, Florida, when the elder John became stationed at the naval base there. Mae worked as a teacher at a Jacksonville high school, where her husband became a football coach. She also began to devote more time to her love of songwriting and music. By the early to mid-1950s, Mae had developed a number of connections in the music industry. The best-known of these connections was music executive, song publisher, and songwriter Fred Rose (famous for his work with Hank Williams). She also became a songwriting partner with Jacksonville musicians named Tommy Durden and Glen Reeves. Ernest Tubb and Perry Como were a couple of the artists who recorded early Axton compositions. During this time, she also worked as a teacher. radio disc jockey, and music promoter (including for Hank Snow). 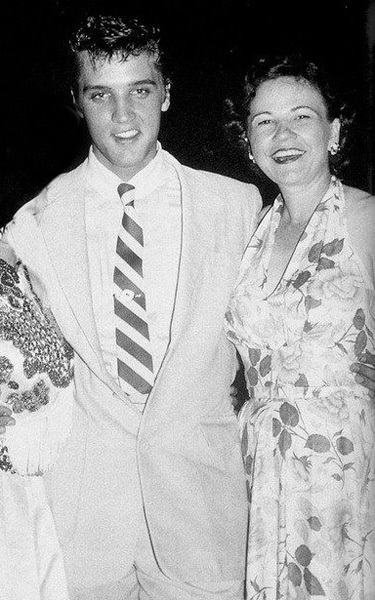 Mae had a keen eye for performing talent, and she saw something special in a young singer named Elvis Presley. The “hillbilly cat” was beginning to attract notice with his recordings for Sun Records and his performances in the South. Mae and country-music promoter Bob Neal worked together to promote Elvis early in his career, beginning in early 1955. That was before “Colonel” Tom Parker took over Presley’s management later that year. Mae interviewed Elvis on her radio show in mid-1955 and helped him get signed by RCA Victor in late 1955. Mae and her writing partner Durden made history in mid-1955 when they wrote “Heartbreak Hotel.” Durden started writing the sad song on his own, inspired by a Miami news story about a man who killed himself by jumping out of a hotel window, leaving behind a suicide note that read, “I walk a lonely street.” Durden showed his partially written lyrics to Mae, and she made the song edgier with her additions. She then played a demo of the tune to Elvis, who recorded it—but only after Parker insisted that Presley get co-writing credit. Mae later said that she was happy to split the songwriting royalties with Elvis. Some of Axton’s other writing credits include “What Do I Know Today” (recorded by Hank Snow in 1956); “Pick Me Up On Your Way Down” (Patsy Cline, 1956); “Honey Bop” (Wanda Jackson, 1958); and “Skid Row” (Jerry Lee Lewis, 1963). Additional writers and artists that Axton worked with over the years included Eddy Arnold, Faron Young, Mel Tillis, Willie Nelson, Conway Twitty, Doc Watson, Dolly Parton, Tanya Tucker, Reba McEntire, Blake Shelton, The Animals, Albert King, and J. J. Cale. Wanda Jackson sings “Honey Bop,” from 1958. “Skid Row,” a hit for Jerry Lee Lewis in 1963. Mae continued to write songs, as well as teach, into the 1980s. In 1973, she wrote a book of her memories titled Country Singers As I Know ‘Em, published by Sweet Publishing. In 1992, she launched a record label called DPJ. Her long productive life came to an end on April 9, 1997, when she drowned in the hot tub after suffering a heart attack at her home in Hendersonville, Tennessee. She was 82. Mae talks about “Heartbreak Hotel” In 1985. Mae Axton and son, Hoyt on Hee Haw TV show. Hoyt Axton, born on March 25, 1938, followed in his mother’s footsteps as a rock and country songwriter. Among his many compositions are “Greenback Dollar” (recorded by the Kingston Trio in 1962); “The Pusher” (Steppenwolf, 1968); “Snowblind Friend” (Steppenwolf, 1970); “Joy To The World” (Three Dog Night, 1970); “Never Been to Spain” (Three Dog Night, 1971); and “The No-No Song” (Ringo Starr, 1974). Hoyt’s biggest hit song that he recorded himself was “Boney Fingers,” a 1974 duet with Linda Ronstadt. His acting credits include the movies Gremlins, Black Stallion, We’re No Angels, Disorganized Crime, Kingfish: A Story of Huey P. Long, and King Cobra. Hoyt Axton and Linda Ronstadt singing “Boney Fingers” in 1974. Hoyt died from the effects of heart attacks two years after his mother, in October 1999.